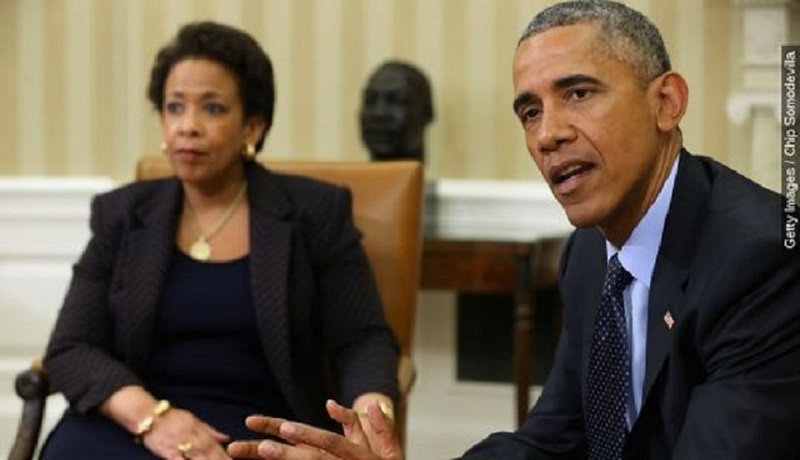 Attorney General Loretta Lynch with Obama. The Supreme Court has given her permission to NOT prosecute government bribe-takers including Hillary Clinton. “The justices of the Supreme Court, who ironically genuinely believe that as legal elite they are above the law, have just issued a decision which cements corruption in the nation’s and state capitals, as well as on the bench. Not coincidentally, Supreme Court justices receive perks from private interests, such as expense paid junkets from special interests to speak and participate in seminars which take place in vacation spots around the nation and the world. These special interests, by providing these gratuities, obviously hope to influence decision-making at the high court. 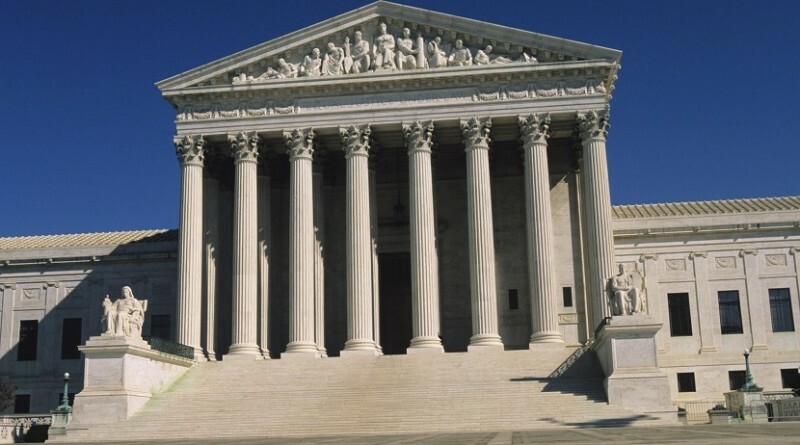 The justices have always found that they are immune from charges of accepting illegal gratuities. In fact, Chief Justice Roberts, in an annual report of the high court a few years ago, has even written that justices are not required to abide by the Judicial Code of Conduct, as it does not apply to them and may be unconstitutional. “Now the Supreme Court has gone a step even further. With its unanimous decision today it has not only protected the likes of Republican establishment former Governor Bob McDonnell but also effectively cleared the way as cover for Democrat establishment presidential candidate Hillary Clinton not to be indicted by the U.S. Department of Justice for bribery in soliciting and accepting hundreds of millions of dollars in so-called contributions to the Clinton Foundation in exchange for “favors” when she was Secretary of State. It is almost impossible to prove that a politician or government official would not have otherwise taken an action but for the gratuity he or she took and the justices obviously know this, as they are not unintelligent men and women. “The Supreme Court’s 8-0 vote thus scratches the backs of both parties, protects itself and is a total disgrace. It is why the nation is in a revolutionary mode ala Great Britain and its recent vote on “Brexit” and why this July 4, 2016, we must remember what our second American president and great Founding Father John Adams proclaimed at the time of the signing of the Declaration of Independence that it would not matter how many times we changed our rulers or forms of government; without ethics morality and religion we would not have a lasting liberty. Indeed the nation is collapsing as we speak in a cesspool of continued and increasing legal and government corruption.